On 5/6/2016, Dr. Creveling spoke to the Louisiana Rehabilitation Services (LRS) vocational counselors at their Regional Meeting to discuss the impact of anxiety in a work environment and its relationship with ADHD, as well as evidence-based interventions and work-related accommodations. Call/email to have Dr. Creveling speak to your adult employees and/or college students. 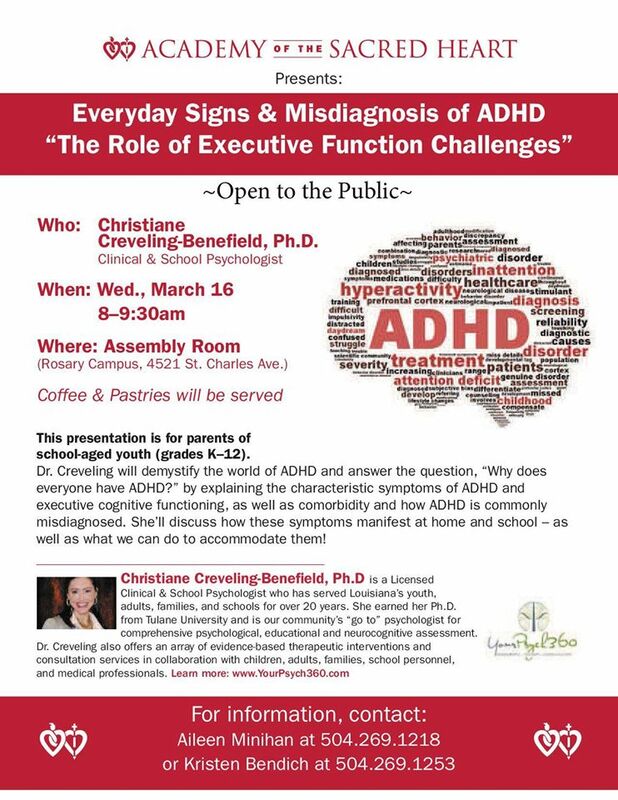 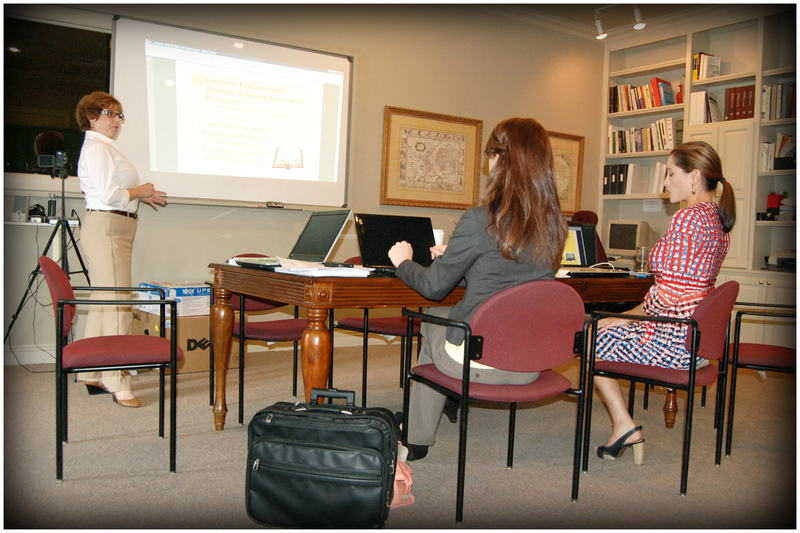 Everyday Signs and Misdiagnosis of ADHD “The Role of Executive Function Challenges”: Dr. Creveling provided in-service training to school staff on 10/16/2015 and to parents in a public forum on 3/16/2016 at Academy of the Sacred Heart in New Orleans. 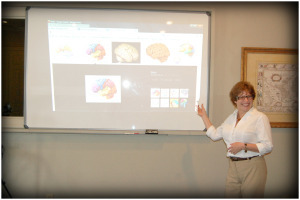 Would your students or faculty benefit from understanding the role of executive functioning in ADHD and other learning disabilities? 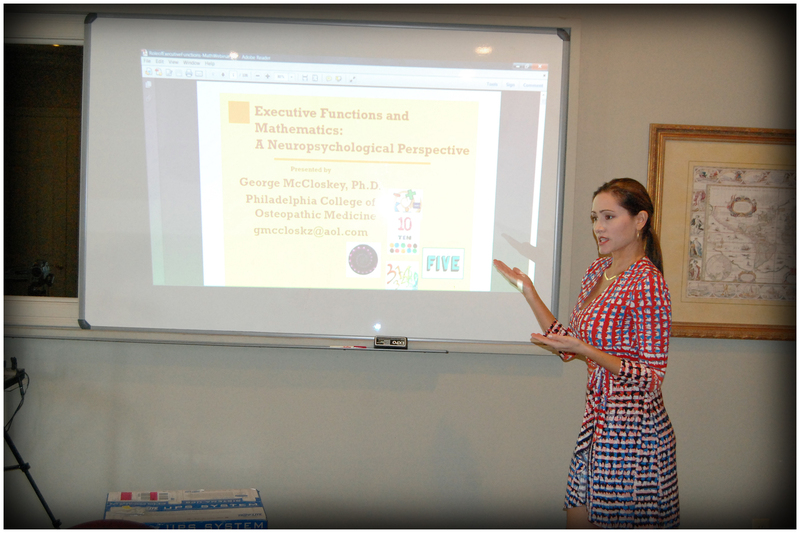 Dr. Creveling conducted in-service training to APS staff on the role of executive function on the acquisition and execution of mathematics skills. 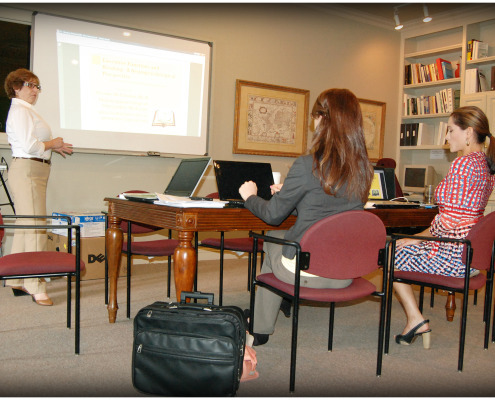 Dr. Creveling discussed DSM-V revisions at the Louisiana Rehabilitation Services (LRS) Regional Meeting in December of 2014.